The Northwest Territories and federal governments have committed to make new offers to Indigenous groups on three outstanding land claims in the territory. The offers are due by the middle of May. The Northwest Territories and federal governments have committed to make new offers to Indigenous groups on three outstanding land claims in the territory. The offers are due by the middle of May. Both governments met with leadership of the Dehcho First Nations, Akaitcho First Nations and Northwest Territory Métis Nation in Ottawa on Wednesday to discuss roadblocks slowing negotiations. The challenges were highlighted in two reports authored by special representatives to the minister of Indigenous and Northern Affairs Canada. The reports were made public on Thursday. 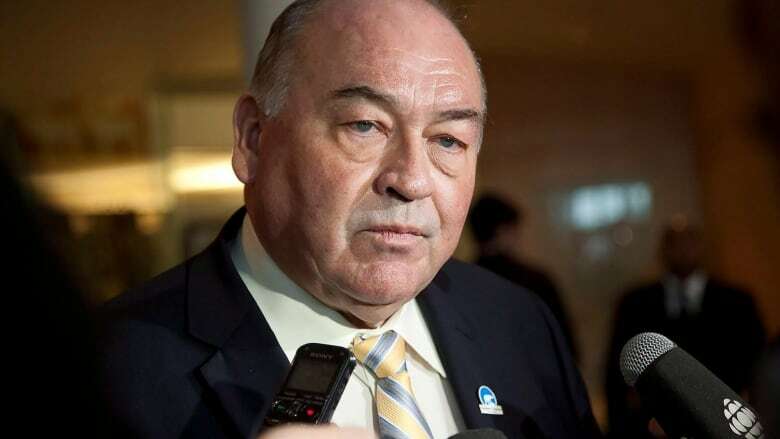 NWT Premier Bob McLeod says more flexibility by governments and better communication between Indigenous groups with overlapping land claims will be key to reaching settlements. "We acknowledge that the old ways of doing things isn't working. Our government is committed to developing new approaches that will bring these negotiations to a close," McLeod said. "We think with facilitators, with aggressive work plans, working all together with all the Aboriginal governments and ourselves, we should be able to find a way forward." The three claims have been at the negotiating table for upwards of 20 years. The reports suggest final agreements or agreements in principle could be reached within 18 to 24 months, a timeline McLeod agrees with. "We will be starting work on that as soon as we get back North. Some of those discussions have already started with the people that came down here [in Ottawa]," McLeod said. Hurdles to overcome include the size of land packages, subsurface rights to land, financial considerations, and self-governance. McLeod said the claims are between 85 and 95 per cent complete.